Deepcool, a company which has impressed us on many fronts recently, has again struck all the notes required for a quality product. Performance may not be chart-topping, but it’s certainly more than good enough for any system, especially those remaining within the normal realms of 95w TDP CPUs, within which the Ryzen 7 and Core i7 CPUs currently reside. Our 3930K features a 130w TDP, which easily creeps towards 160-170w when overclocked to 4.4GHz. Handling a “worst case scenario” like that, without causing too much of a fuss, is a good sign! The RGB lighting is genuinely beautiful. The LEDs transition well and the effects between the pump enclosure and fans are synchronised perfectly. Including the RGB header cables as well as the in-line controls for users such as ourselves, lacking the necessary motherboard header, is a good example of thinking of the customer. We also see support from MSI, ASRock, Gigabyte and ASUS in terms of RGB Sync with the motherboard. Not forgetting that pricetag. 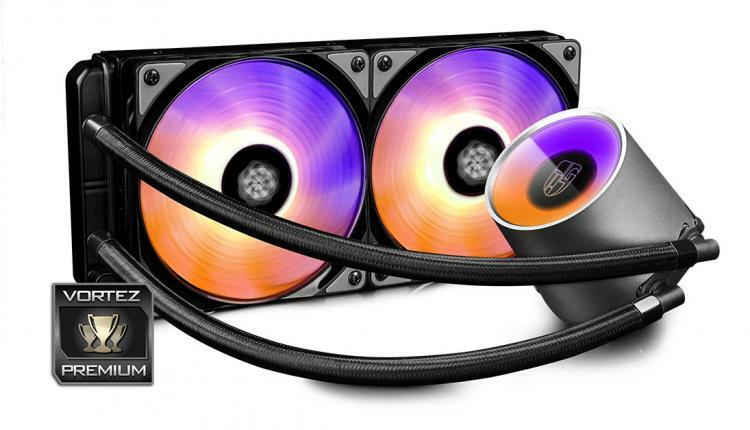 At £95.99, the all-in-one watercooling loop performs very well, but with the RGB fans and pump enclosure also included at that price and putting on one hell of a show at the same time, we feel the Castle 240 RGB offers great value for money. The large pump enclosure looks excellent, but due to the height, we feel it may foul on some smaller cases, ensure the dimensions suit your case if planning this for a small-form-factor. Being available with a black enclosure around the pump housing would also improve aesthetics for some builds. Quiet cooling, bright and vibrant lighting, good value for money and simple installation. There’s not a lot we can criticise here.